Maduku Mamata was born on a tiny speck of land in the Solomon Islands, a pacific archipelago that is known as much for its desperate financial state as its outstanding natural beauty. From growing up and helping his parents with their subsistence farming, to losing them at a young age and attending school to make sure he would be able to make his own way in the world, Maduku weaves an intricate story of how he ended up in Brisbane, attending college there to better his life. 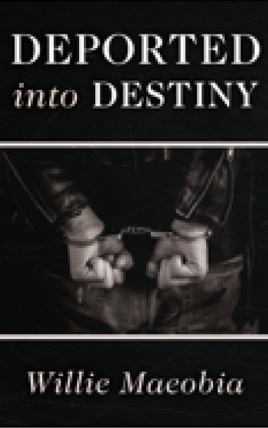 Deported Into Destiny is a story of hardship, a desperation to make things better for one’s self and for others, as well as lessons learned the hard way. But it is also an enduring story of love and of doors opening when you least expect them to. This is a story of salvation amidst the wreckage of a single mistake and of hope triumphing eventually over adversity.